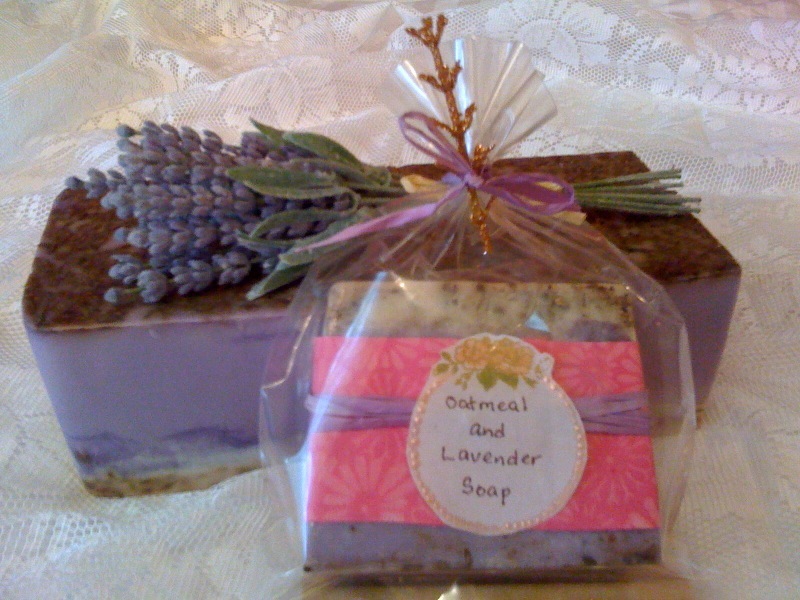 Oatmeal and Lavender Soap. Lavender is an old time favourite for everyone. It is a wonderful oil which heals and one of the very few essential oils that you can actually apply on the skin directly . 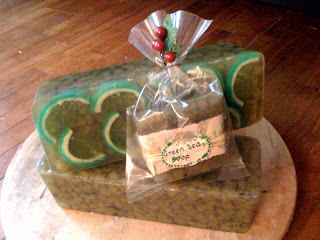 The finely ground oatmeal and the whole lavender bud makes it a wonderful gentle exfoliating soap. Ingredients: Oatmeal, coconut oil, palm oil, safflower oil, glycerin, purified water, sodium hydroxide, sorbitol, sorbitan oleate and soybean protein. I have added extra lavender buds to the whole oatmeal soap that I carry and used lavender essential oil and lavender and amber fragrance oil to make this soothing soap bar. This is an aloe vera soap, with cubes of green tea honey soap added with Vitamin E, Vitamin A, Rosemary Extract and Grapefruit Seed Extract. It comes in three fragrances, lemongrass essential oil (block on top with slices of lime), tea-tree and blue eucalyptus and green tea.